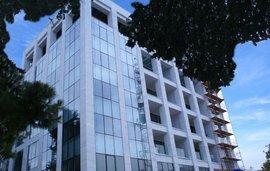 There have been changes to property tax in Cyprus since the beginning of 2017 and further adjustments are also expected. 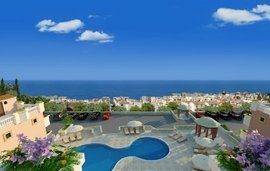 So, if you’re considering investing in a sleek new development property in Cyprus, Winkworth International recommends seeking professional tax advice. 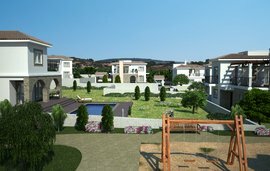 In the meantime, here are some guidelines on the property taxes to be paid on your Cyprus new-build property purchase. Property Transfer Fees are calculated according to the market value of your property on the day you purchased it. These are payable to your local district lands office as soon as ownership of a Cyprus property is transferred to your name. Once you’ve paid the fees, you will receive that all-important Title Deed for the property, which proves you are the property's registered owner by law. When you go to pay your property transfer fee, remember that a cash payment is preferred as this takes less time to process. You must also be over eighteen years old and able to demonstrate that you do not pay a reduced VAT rate on any other property in Cyprus to be eligible for this reduction. If you’re purchasing a second hand home you’re in luck as currently, all types of second hand property are exempt from VAT. On 31st December 2016, the concession exempting buyers from Capital Gains Tax (CGT) came to an end. 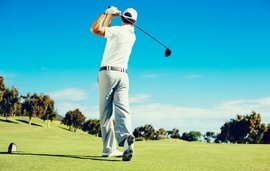 Consequently, anyone buying new build property in 2017 is liable for CGT if and when they sell their property. This ruling is subject to change however and there are exemptions. Remember that for the most efficient tax planning, the services of an accredited legal advisor are essential. 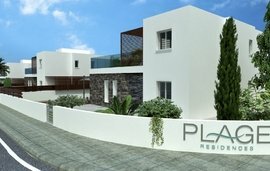 We’ve been selling new developments in Cyprus long enough to understand the importance of using a reputable law firm to negotiate the buying process, so do not hesitate to get in touch if you need guidance at any stage of the process. * All quoted tax rates are intended as guidelines which are correct as of March 2017, but subject to change following this date. 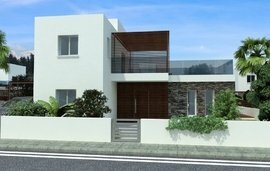 What are the tax benefits of buying new build property in Cyprus? The good news is that Immovable Property Tax (IPT), previously payable to the Tax Department in Cyprus, was reduced in 2016 and abolished altogether for the 2017 tax year which runs from 1st January - 31st December in Cyprus. Applying for the Cyprus Golden Visa (EU Citizenship) or a Permanent Residency Visa can lead to various tax benefits and exemptions. Read more about this scheme in our blog-series on the Golden Visa. Cyprus is generally viewed as having one of the most generous taxation systems in the world. There is a low tax rate on pensions and no inheritance tax. Double-tax treaties also exist between Cyprus and a number of countries including Russia, the UK and USA. Browse the Cyprus Ministry of Finance site for more information. 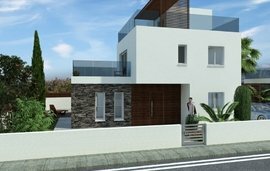 The evolving property tax situation in Cyprus is intended to protect the interests of property buyers and property owners alike. If you have any questions about property tax in Cyprus, contact the Winkworth International Development office.